The skies in Maryland will be openly sprayed with toxic metals by NASA today, Saturday June 3rd. Barium, strontium, and cupric-oxide are being sprayed off the coast of Maryland out of a sounding rocket being launched from Virginia. NASA claims they are doing tests with the ionosphere, disregarding the concepts of ionospheric heating or geoengineering, as if we don’t know what they are doing. This pattern of metals precisely mirrors geoengineering patents, and rain tests conducted in areas that have seen heavy chemtrail spraying. This is the exact signature set of metals found in rain and soil samples where chemtrails have been sprayed, minus the central component aluminum oxide. That makes this an unprecedented first step toward the government spraying the skies as a regular practice to “combat climate change,” as an army of corrupt academicians is pushing for. They have been spraying for a while, but people who point it out are denigrated as conspiracy theorists. Now, they just want to spray us even worse without hiding it. “NASA intends to launch a sounding rocket from its Wallops Island Flight Facility in Virginia, currently planned for very early Thursday morning (June 1). If all goes according to schedule, many residents in the middle Atlantic and Northeast United States will be able to spot multicolored patches of light in the dark, early-morning sky sky. So they’re using NASA to push the geoengineering agenda: the beloved space agency is releasing colorful, pretty artificial clouds filled with toxic metals over the East Coast of the United States because the government loves us very much. 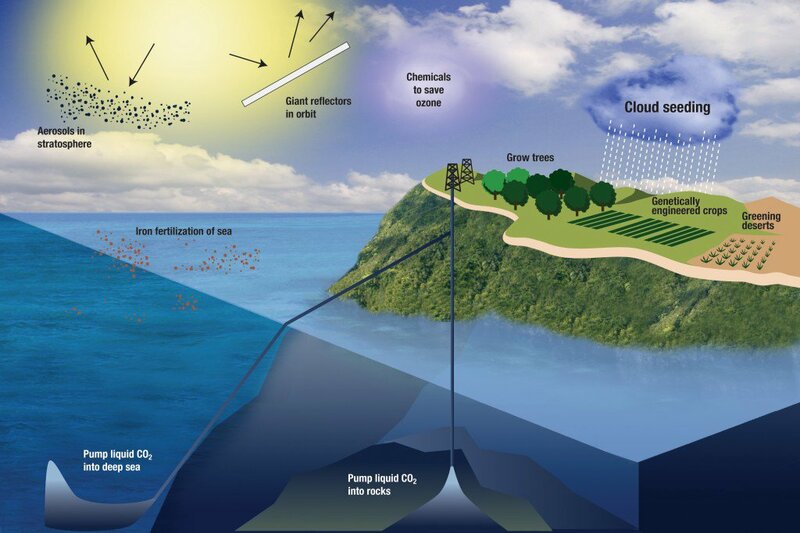 “This comes after a United Nations “geoengineering governance initiative” was launched, and the Carnegie Council announced the launch of a “Carnegie Climate Geoengineering Governance Initiative.” This comes after CIA director John Brennan proposed they spray the skies and do “solar radiation management” (SRM) to fight climate change in 2016. Some powerful forces are pushing very hard for the ability to spray the skies with aluminum, to modify the weather and set a precedent where they can spray anything on us. This precedent where we can’t identify what is sprayed on us could usher in a new era of chemical or biowarfare against citizens. As victims of the US’ long history with experimenting on citizens can attest to, this is a serious possibility. Just research the Tuskegee Syphilis Experiments, the spraying of San Fransisco in Operation Sea Spray, ect. The forces pushing for spraying are not a mystery, and they’ve been at work on geoengineering for decades. They are found at military industrial complex affiliated institutions such as MIT (Massachusetts Institute of Technology), Harvard, MITRE Corporation, Raytheon, and others. If you want to know what “the system” is, it’s MIT. They are an academic limb of the military industrial complex. Half a century of progress toward modifying the weather for military purposes (and to create a global warming false alarm to justify it) coming out of MIT and similiar entities was well documented in Peter A. Kirby’s book “Chemtrails Exposed: A New Manhattan Project.” Or, you could read his even more recent article on the topic. Or, you could listen to an interview with Peter Kirby about all of this. However, the truth is geoengineering is obviously already happening in the US and around the world: just look up at the sky. Those giant high altitude “chemtrails” that turn into haze in the sky and persist all day are active geoengineering efforts before they disclose it and take it to an even further level. So what these people are really trying to do, is normalize geoengineering in the public’s perception. This article (Skies to be Openly Sprayed With Toxic Metals this Weekend, Blocking the Sunlight) is a free and open source and can be re-published anywhere with proper attribution to the author and Themindunleashed.com.